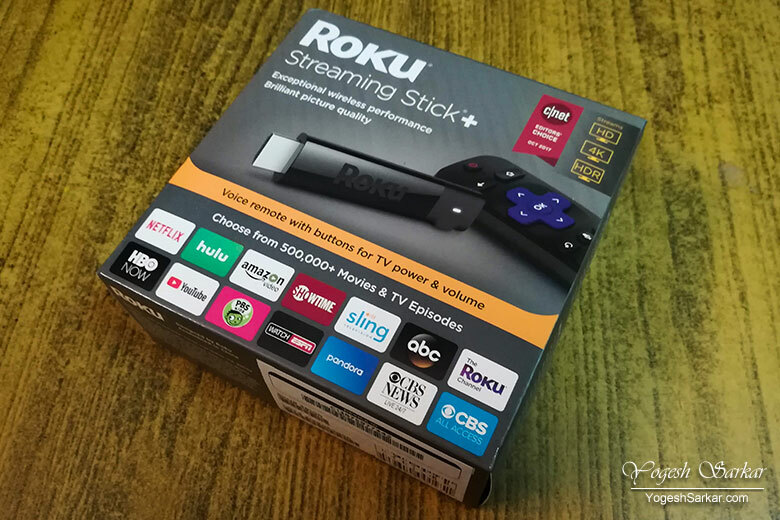 However, once I received Roku Streaming Stick and set it up, I discovered some major restrictions it imposes for its buyers outside the USA. 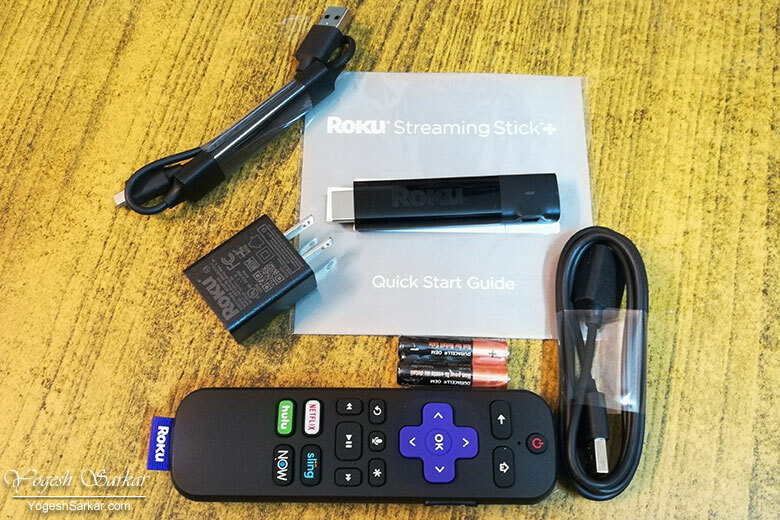 So even though I paid for it more than an American, yet, I still can’t fully use it in India and same also holds true for users across the globe, even in countries where Roku has an official presence. 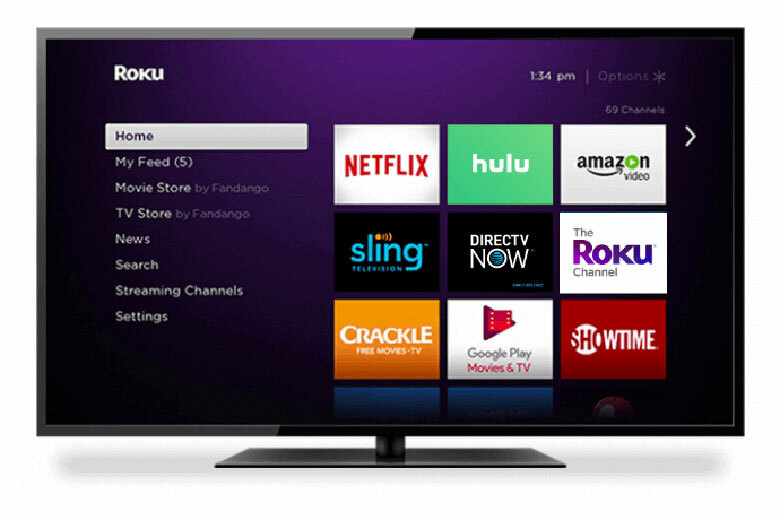 Leading me to believe, Roku isn’t as good of an option, as I initially hoped it would be. 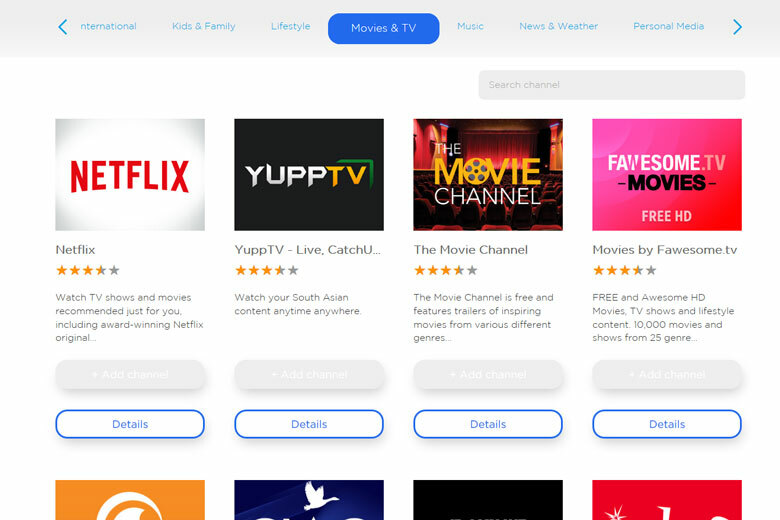 Prime Video App and Google Play Movies not available in India: Prime Video App and Google Play Movies on Roku isn’t available for users outside USA eg. in India, even though Prime Video and Google Play Movies is available in these countries. 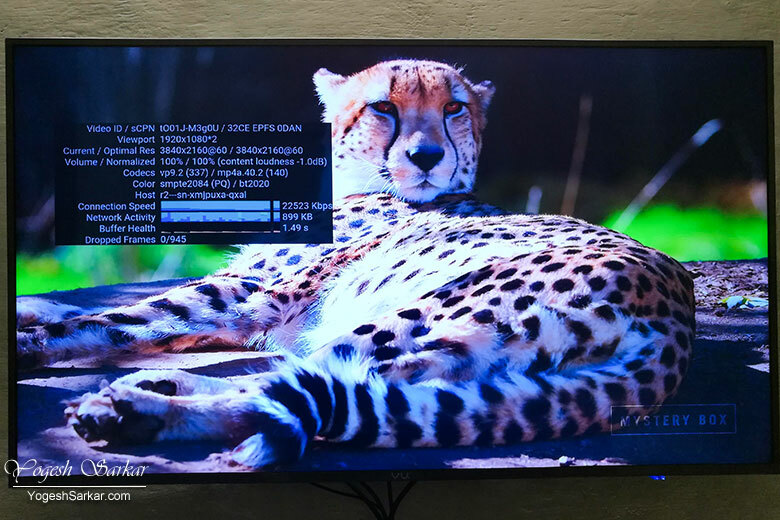 So unless you connect your Roku through a US VPN, set it up with fake billing address based in US and credit card info, you cannot install and run these and many more channels. 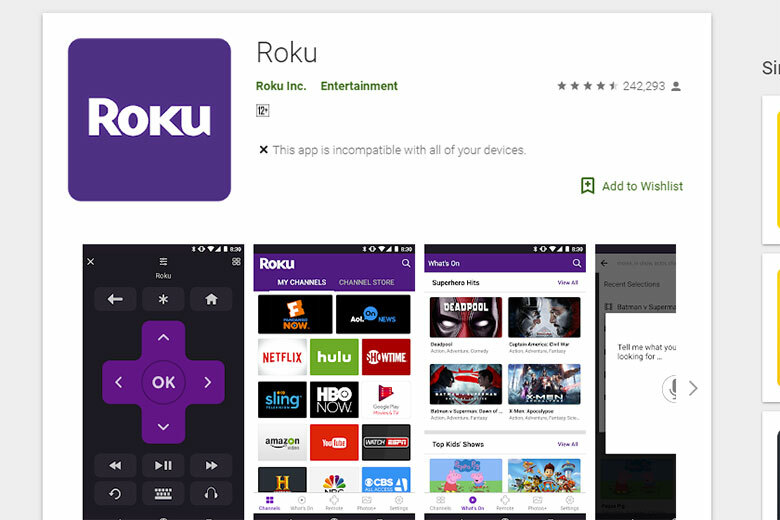 Roku Voice Search doesn’t work in India: Roku Voice Search isn’t available in India and if you press the mic button on the remote by mistake, you get redirected to the home screen. Roku My Feed and Search isn’t available: In the US, Roku has my feed and search option to let you access content across multiple apps you have installed on it. Yet, in India, Roku removes that option as well and you’re left with just 3 options on the home screen; Home, Streaming Channels (app store) and Settings. 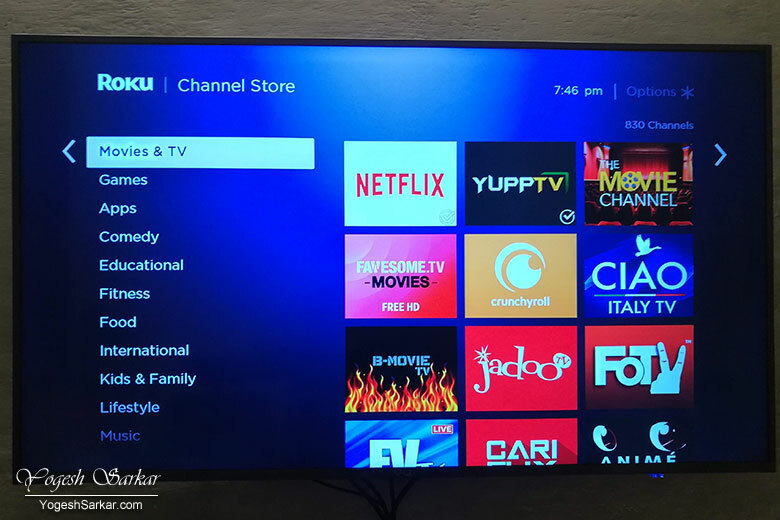 You cannot setup channels through browser: In US, Roku allows users to browse its channel store online through the browser and allows you to add channels and set them up online (which is extremely convenient.) However, if like me, you’re outside the US, you cannot do that! 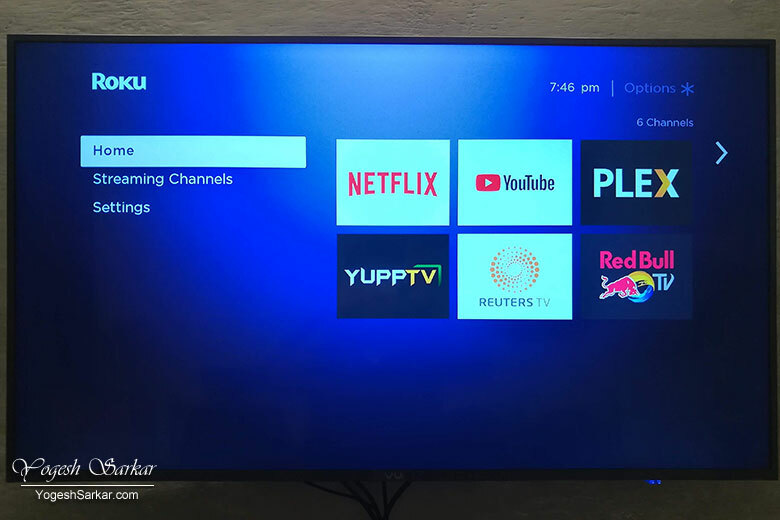 Option to add channel is grayed out and hence you have to scroll through the channel list on the TV (since search isn’t available) and manually add and setup channels. Apart from this, needless to say, you’re on your own, when it comes to customer support and warranty since Roku has no official presence in India and claiming warranty would mean, sending it back to the USA. Having said that, the things that do run on it eg. Netflix, YouTube, Plex etc. run extremely smoothly and 4k HDR playback is silky smooth and Roku rarely shows any slowness while switching between apps. There are also HOOQ and YupTV apps available for Indian content, but things like Hotstar, JIO Cinema etc. are notably missing and even though India Today group of channels are available in US, they aren’t available in India. At the end of the day, if you’re living in India or in another country outside America, Roku gives you such a watered down experience on its streaming players that you’re sure to be disappointed, unless Netflix, YouTube and Plex is all you need. Sadly though, only Apple TV 4k is available in India officially and all the android streaming boxes priced less than US$ 100, struggle while playing 4k HDR content. Leaving people like you and me, with little choice. And I guess, that is the reason, why I didn’t ship Roku Streaming Stick Plus back to US, despite these issues. Fake Canon batteries on EBay India!